Ibiza’s season officially starts around the beginning of May, where most the businesses across the island start to open for what we call the Ibiza season, you will also see a noticeable change in the climate, as the days get hotter towards reaching the hottest months of July and August. July and August is peak season and also the hottest temperatures of the year. Although most of the Island works around the clubs which have opening party’s at the end of May and mid June and stay open until around the end of September with closing party’s. The clubs attract a high percentage of tourists to the Island. The end of the season is October when the temperatures drop and most businesses that cater for tourists close around the end of this month. So what does this mean for a wedding event. A few key points are that you will want good weather, you may want to have some good nightlife and you may want to be here while most of the Island is running at 100% (everything is open) , unless you are looking for that winter sun and peaceful wedding event. You can break down the seasons into off season, low season, mid-season and peak-season. 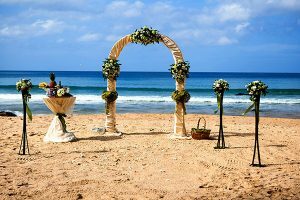 Off season you can get very good priced deals on wedding venues that are open or will open for you, but remember the reason for off season is that the weather is not very warm and can even be raining. And 85% of the Island businesses are closed. But this also adds the beauty of having a wedding around this time of year. If your lucky and you get a warm day it can be quite pleasing. The months of January, February and March are quite beautiful on Ibiza, Spring can hit Ibiza early as February and March and can be quite magical, one of the noticeable things in nature for Ibiza is the blossoming of the almond trees. January to May are very cold months for Ibiza. But has been known to be quite warm at times.It can be surprisingly warm at times, but can also be very wet, it’s a little bit unpredictable. Make sure you have a backup plan to move inside, if you are having a wedding outside during these months. May to June the weather is pleasant and can be very hot, but you can expect the odd showers. But overall the temperatures are rising and you have a very good chance of good weather for an outside wedding. July to August the temperatures can be as high as 40 centigrade during the day. You will want to be outside, but you will also want a lot of shade. Temperatures can be unbearable to sit in. September to October the heat eases off as the season cools down. September has to be one of the best months in the year for a wedding event. Although we often get some big rain storms at the end of August to mid September that may last no more than a week. September is a month of cooling down weather. September is also known as one of the busiest months for weddings! November to December to temperatures start to drop and those warm days have a slight chill to them. Unpredictable weather, but usually quite calm, but can be chilly and even cold at night. 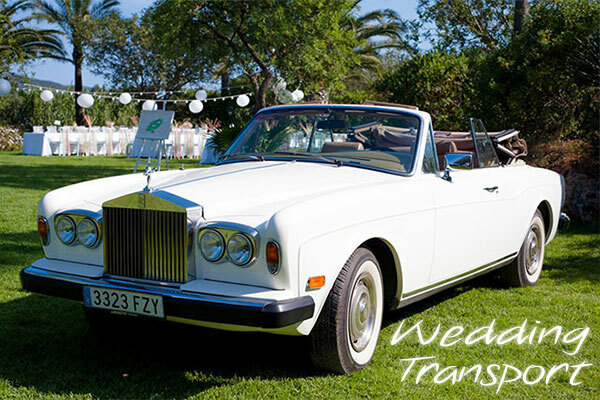 Mid Season: May, June and September – Most popular time of the year for weddings on Ibiza. Low Season and Mid Season you will be able to pick up cheaper flight to the Island. Off Season could prove to be difficult to get direct flights to the Island. Peak season flights are at there highest price and availability is an issue unless you book well ahead. All depends on what kind of wedding ceremony you want and if you got the dream of Ibiza in mind. 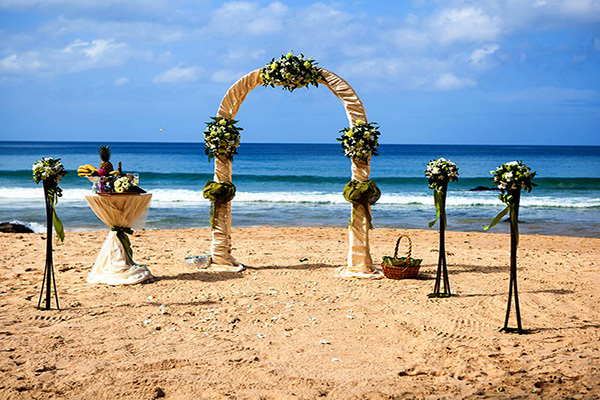 Most wedding couples want the hot sun, sandy beach, the white church, a great sunset. 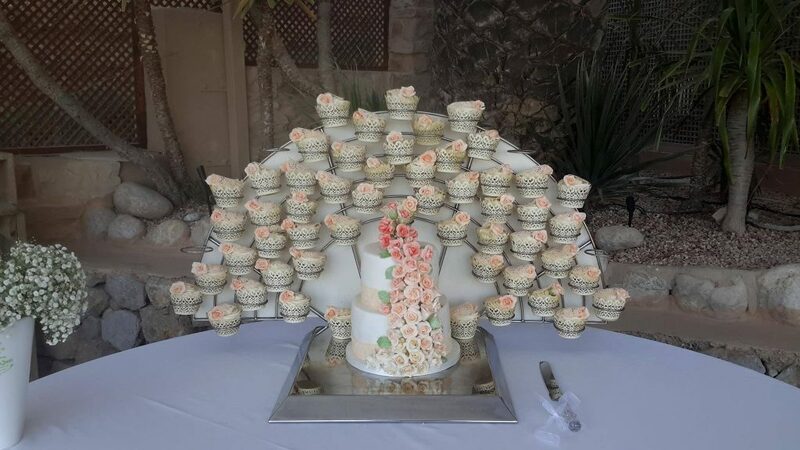 Overall is to start planning at least 8 to 10 months ahead for your date, so you can start hunting down the venue and wedding vendors you need.